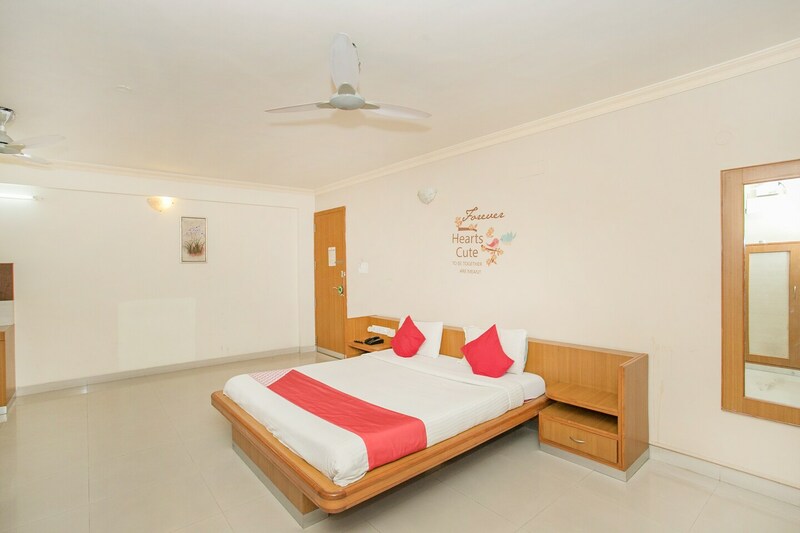 The Aayush Corporate Stays is one of the popular choices of accommodation. The rooms are particularly spacious and every corner has been decorated very wisely. The rooms maintain a neutral palette and there are stunning wall designs in each room. The furniture present in every room comprises a personal wardrobe and a dressing table. The curtains complement the overall decor of the room. Facilities at the hotel include an elevator, laundry service, power backup and card payment option for the convenience of the guests.